Welcome to my new blog, creatively titled “Jim Jacobs :: Blog”. Hey, it’s always better to make your web page titles as clear as possible. One of my mantras is Don’t Make Me Think. 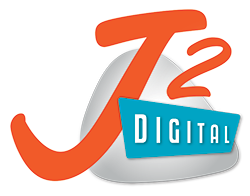 On this J2 Blog, I’ll be expounding and ruminating on all things digital media, website design, and online marketing based on my experiences, war stories, successes, failures, and the great work of others who know more than I. My goal is to provide you with strategic and essential information to help you establish and improve your use of the web, whether you work independently or as part of a large organization. It’s likely I’ll throw in posts about music here and there. Hopefully, you’ve noticed that my new website is essentially one page, affectionately known as a “one-pager”. The only exceptions here are the project profiles and, now, this humble blog. This has become a popular approach over the past few years, whether you realized it or not. However, none of my clients, so far, have come to me asking specifically for a one-pager. I believe this is because they don’t understand this option. “One page? I have a lot more to show and tell than that!” After I explain why they should consider it, more and more of them are agreeing to do a one-pager. Why and where are one-page websites a great idea? According to the authorities at One Page Love, “A One Page website aims to provide the perfect (could read minimum) amount of information for a user to make a decision and act upon it. This single page website has no additional pages (like about, services, contact) and tries to remove as much “clutter” as possible, focusing the user’s attention to the most important content.” Their treatise on the subject, What (exactly) is a One Page Website?, is worth the read if you want to dive deeper into this design strategy.